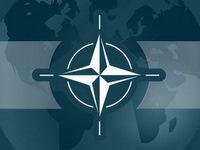 NATO New Strategic Concept should reply on a number of fundamental questions and global challenges. 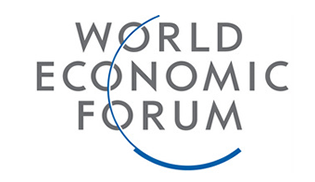 There are a few key directions which include stabilization of Afghanistan, involvement of Russia into mutually beneficial and mutually binding relations with Europe and extended North-Atlantic community, development of cooperation with non-governmental institutions, international organizations, cyber-threats struggling. The idea of NATO as an evident relict of the cold war epoch is pretty common. By this, however, we can't seriously forget that the Alliance is the most powerful military-political union in the modern world. 28 member-states of this Organization in total unite two most developed regions of the planet, possess powerful economy and advanced social-political system. Almost a billion people, inhabiting these countries, produces about 50% of the world GDP, and being by this less than 15% of the total population of the planet. However, NATO experiences problems in the area of the strategy of its own development. Military dispatches (especially Iraq and Afghanistan) of last decades, as most politicians and experts think, today can't be called successful as from the point of view of results achieved, as well as from the position of development of Euro-Atlantic consensus and consolidation. They have rather demonstrated the differences of interests and approaches among the Alliance members. American political authorities, according to a number of American and European analysts, have promoted destabilization of the situation in the world policy during last years significantly. Unilateral policy of Washington in Iraq, mistakes within the relations with Islamic world have not only weakened the unanimity of NATO, but also influenced greatly the negative attitude of Muslim World Community towards the USA, and West in general. The relations with Russia have also got trapped into a dead-end and this is not only guilt of Moscow. Today the main mass of regular activity of NATO includes consultations, negotiations, crisis situations management and peacekeeping operations. These are the functions, that earlier would rather be a prerogative of OSCE than NATO. Experts specify this new quality that is not that common for the Organization striving for global force control as an illustration of a new and future trajectory of the Organization development. An additional condition, concerning the development of the concept was states as a need of extended involvement into the discussions of expertise bodies and people within the Alliance member-states and out of its borders. At the moment NATO Strategic Concept is designed by the leading world experts. Expert teams and boards also include analysts from big corporations such as for example petroleum group of companies "Shell". There were a great number of discussions, conferences, seminars and consultations at the highest level in the beginning of this year. And there have been extremely many of them during last two months, as the first draft-project should be ready by the end of April. 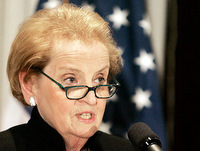 Russia has become the first non-NATO state which welcomed the visit of the "Group of Sages" headed by Madeleine Albright in the middle of February. This group consisting of 12 experts should develop the new key document. 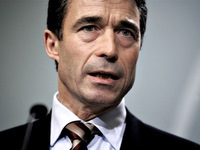 By the end of April the "Sages" should finish consultations with all Parties involved and present a draft of the document to the Secretary General Anders Fogh Rasmussen who will be responsible for the development of the finished text. Then the document will be discussed by 28 NATO members and afterwards the final text will be approved by the Heads of States during the Alliance Summit in November in Lisbon. Russia is a key priority as Madeleine Albright reported during the visit and that is why the whole group began visiting partners starting with Moscow. The kind of attention to Russia was also incited by its new military doctrine which stated the "intention to give to the force potential of NATO global functions and to get the military infrastructure of the member-states of the block close to the borders of the Russian Federation" as the first in the list of military threats to security. Russia in general became a key subject in all last discussions. By this, the perception of Russia has changed a bit, especially when comparing with the rhetoric of August and autumn of 2008. Evident is the intention to involve Moscow into more close interaction, to get rid of biases and distrust arose within the last decade. The North Atlantic Treaty Organization should develop a new efficient strategy of cooperation with Russia - consider the authors of a respectable international report "Military Balance", which was presented on January 27th in London International Institute for Strategic Studies (IISS). Considering the challenges, that NATO faces in Afghanistan and the consequences of the extension policy, that resulted into the Russian-Georgian war, it would be wise for NATO to use this opportunity and to focus its activity on the two fronts" - as noted in the text. First of all, to strengthen NATO strategic concept and to focus on stabilizing missions, which lie in ground of its current activity. Secondly, to develop a strategy towards Russia, which will allow to hold more efficient consultations and to cooperate with Russia wherever possible. They should remove all virtual relations within the framework of the Russia-NATO Council, plenty of working groups, meetings, special working groups, which in fact should base on a common perception of threats and accomplishment of common tasks. Many analysts think that this is quite a distant prospect. The ideas of West and Russia are extremely different from the reality. Up till now Russia perceives NATO minimum as something and unfriendly, and usually - hostile. Negative attitude of Russia dominates even also in Western public consciousness as a steady stereotype. But today many experts think that this should be changed, and the prerequisites for new relations should be established. For the beginning at the political level. At that, the so-called "Old Atlantists" are ready to influence the position of steady rejection of East especially typical for their East-European partners. In this sense, very indicative was a so-called "Snow Meeting" informal consultations, held in January in Lithuanian Trakai. It welcomed the Ministers of Foreign Affairs of Ireland, Hungary, Greece, Latvia, Romania, Moldova, authorities of the European Union institutions, analysts, experts of research institutes of Great Britain, the USA, Canada, Germany, Estonia, Portugal and Iceland. As a refrain through the addresses sounded a thesis, stated by the Director of the European Council on Foreign Relations Mark Leonard that the current attitude of Lithuania towards Russia is not understood either in Berlin or in Paris. And for example Poland, thinks M. Leonard, has absolutely changed the content of policy towards Russia because of the change of the rhetoric of its Government "They started trust Poland more". An American politician Bruce Jackson was even less tolerant within its address: "Earlier we looked at Russia with the eyes of Baltic, Poland, Czechia. I think that this period has got to its end. President Obama and his foreign policy team consider, that they understand Russia pretty well, that they don't need propagations from Tbilisi or even from Vilnius, for them to explain every day what Russia is. Naturally, Russia and the EU need each other, that is why Eastern EU states will feel the pressure in the issue of behavior with Russia in order to avoid crisis". Doctor Hans-Friedrich von Ploetz, a member of the Expert Group on a new concept development, concerning the results of NATO development within the last 20 years noted that NATO is still pretty topical, but it won't manage to be a global organization. Among other participants of the discussions there were Teija Tiilikainen, Director of Finnish Institute on Foreign Affairs, Pertti Salolainen - Chairman of Foreign Affairs Committee, Anne-Marie Le Gloannec - Science Director in Paris Institute of Political Studies. There in Helsinki during the seminar "New Strategic Concept of NATO - Comprehensive Approach to the Crisis Regulation", the NATO Secretary General noted that the logic of a comprehensive approach to the crisis regulation is convincing, but its accomplishment remains to be complicated. "Each entity acts in its system and uses its methods of work, and joint forces are still weaker than could be". to enhance the interconnection of NATO with all world, and first of all with Russia. "Policy of dialogue and cooperation with Russia for all members of Alliance is the best guarantee of security within European region, and good relations with Russia will become the most significant item of a new strategy of North-Atlantic Alliance. NATO is not a threat for Russia and it will never attack Russia. And in its turn NATO doesn't consider Russia as a threat and in this view a new, recently adopted Russian military doctrine doesn't illustrate a real situation". The wish to cooperate with Russia and to strengthen this in a new strategic concept of NATO was expressed by two other speakers – Polish Minister of Foreign Affairs Radoslaw Sikorski and Polish Minister of Defense Bogdan Klich. According to Radoslaw Sikorski, a new strategic concept of NATO opens the way to reforms: "Poland expects from NATO the development of partnership with Russia, and also assurance of our security. Poland votes for the realistic approach in development of relations between NATO and Russia. Poland wishes the development of relations between Russia and NATO to be mutually beneficial for the both Parties". Warsaw discussion also included many famous politicians and experts (Klaus Wittmann, Lee Feinstein, Andrew Michta, Robin Niblett, Adam Rotfeld, Ronald Asmus). Here the main discussion subjects included the issues, concerning the interpretation of the fifth article of North Atlantic Treaty, cooperation with Russia, Afghanistan issue and cyber-security. In strategic plan Russian direction of NATO which became such an urgent plot, many experts formulate as follows: tight military-political cooperation with a post-imperial Russia, which sooner or later will get used to the new historic role, just as Great Britain, France and Germany did, corresponds with the long-term interests of the USA and Europe. For that they will need compromises, patience and time. But ultimately, a new generation of Russian leaders will inevitably acknowledge that a full-scale and full-value cooperation with West corresponds with the fundamental national interests of Russia itself. 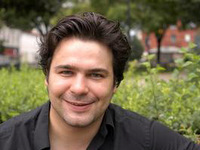 And any alternative strategy, as the establishment of anti-Western axis with China, which today is still welcomed by some Russian politicians, is dangerous and fantonomous, as its benefits are doubtful for China, and economically and demographically weakened Russia is inevitably fated to the role of a younger partner. Post-Soviet, and to some extent also Russian, and especially Afghan, Chinese and Asian topics within NATO agenda, as a number of analysts think, can develop also through the cooperation within the line of regional organization. This was specified in all three discussions. It's supposed, that a gradual extension of interaction can be promoted by the establishment of a joint Council NATO - SCO, at the same time attracting the states of the region indirectly, including China, to cooperate with the Alliance. Considering the changing distribution of global power and shift of the power center to the East, it's time for NATO to think about direct connections with leading states of East Asia. Here we mean India, China and Japan. The interaction could be performed in the shape of joint consultations, processing of functional compatibility, readiness to unforeseen circumstances, and also deepening of strategic cooperation, supposing the share of responsibility, risks and financial expenses. As for another regional organization CSTO, then NATO doesn't hurry to consider already repeatedly sounded idea of conclusion of formal treaty with CSTO, as this anticipates the existence of military-political symmetry between the two organizations. There is no CSTO within current discussions. CSTO has repeatedly suggested NATO different variants of cooperation, but Brussels until now has declared that they are ready to interact with individual members of this organization. Some NATO experts, however, observe definite opportunities especially if the treaty on cooperation in the sphere of security assurance of Eurasia and bordering regions will include an item on respect of the rights of countries, that are not members of these organizations at the moment, on joining NATO or CSTO, and within a long-term prospect joining both these organizations. They think that a treaty between NATO and CSTO, containing the kind of proviso, can become an indirect liability of Russia not to impede the joining to the North-Atlantic block for example of Ukraine or Georgia in the reply on de-facto approval of the Alliance that NATO will consider the issue on membership of these countries exclusively as a long-term prospect.